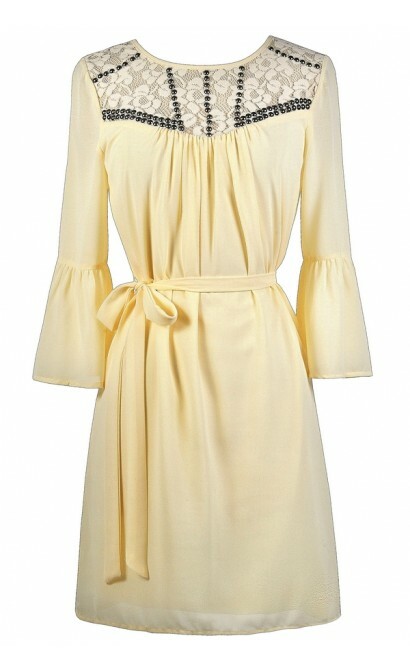 You have added Bell Sleeve Studded Dress in Cream into shopping cart. FINAL SALE. This flowy bell sleeve dress is amped up with gunmetal grey stud embellishments at the neckline. The Bell Sleeve Studded Dress is fully lined below the bust, but is semi-sheer at the neckline and sleeves. 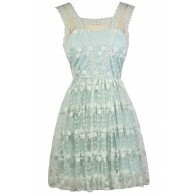 It features a lace panel at the neckline with grey stud embellishments. 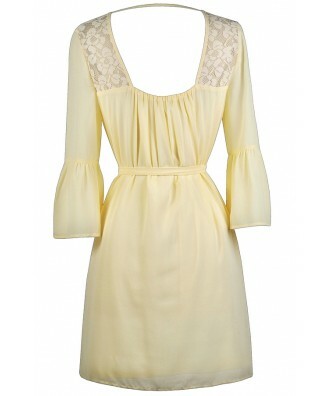 The sleeves of this dress flare out, giving it a hippie chic bohemian feel. An included fabric sash wraps around the waist and can be tied into a bow or left to hang. 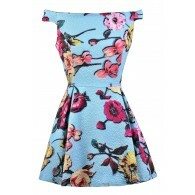 This dress is the perfect option to wear to a festival or concert. It looks great paired with wedges, heels, or boots. Details: Lined below the bust. 70% silk, 30% polyester. Contrast: 100% polyester. Hand wash cold water separately. Color will bleed. No bleach. Hang to dry. Small measurements: Length from top of shoulder to hemline: 34". Bust: 34". You have added Bell Sleeve Studded Dress in Cream into Wishlist. You have added Bell Sleeve Studded Dress in Cream for Stock Notification. You have set Bell Sleeve Studded Dress in Cream as a loved product. 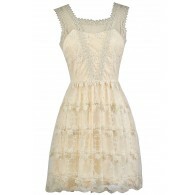 You have removed Bell Sleeve Studded Dress in Cream as a loved product.